Are you ready for the World’s Strangest Superheroes? 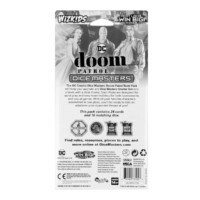 Dice Masters is a global hit from WizKids that uses the proprietary Dice Building Game platform developed by Mike Elliott and Eric M. Lang. 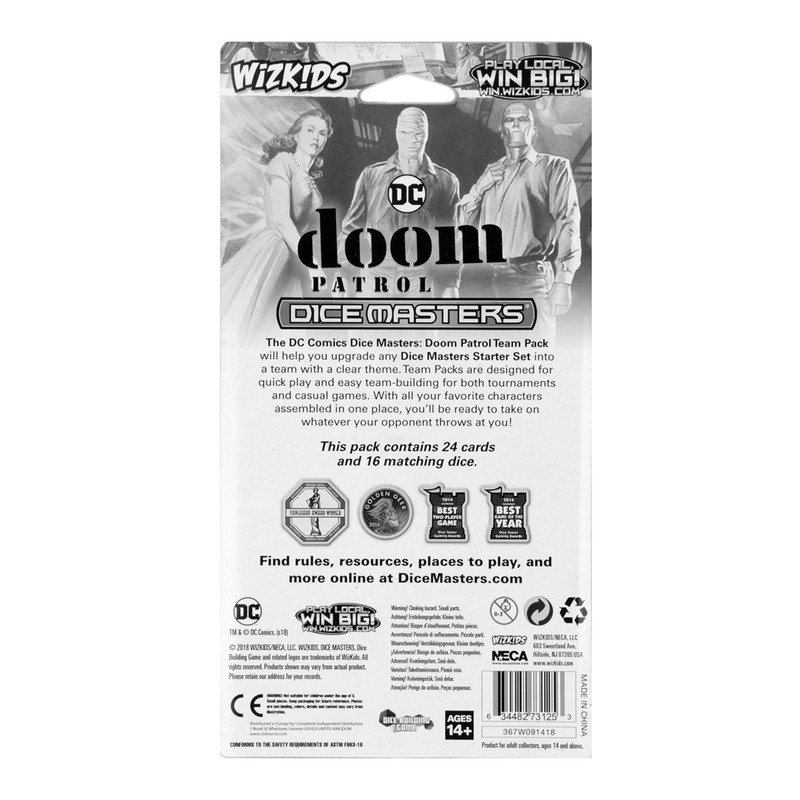 The DC Comics Dice Masters: Doom Patrol Team Pack is going to uncover new ways to win! 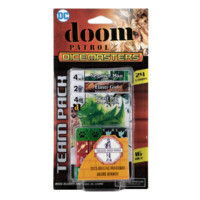 The DC Comics Dice Masters: Doom Patrol Team Pack will let players build their own Doom Patrol or help them team up with their allies from the Justice League! 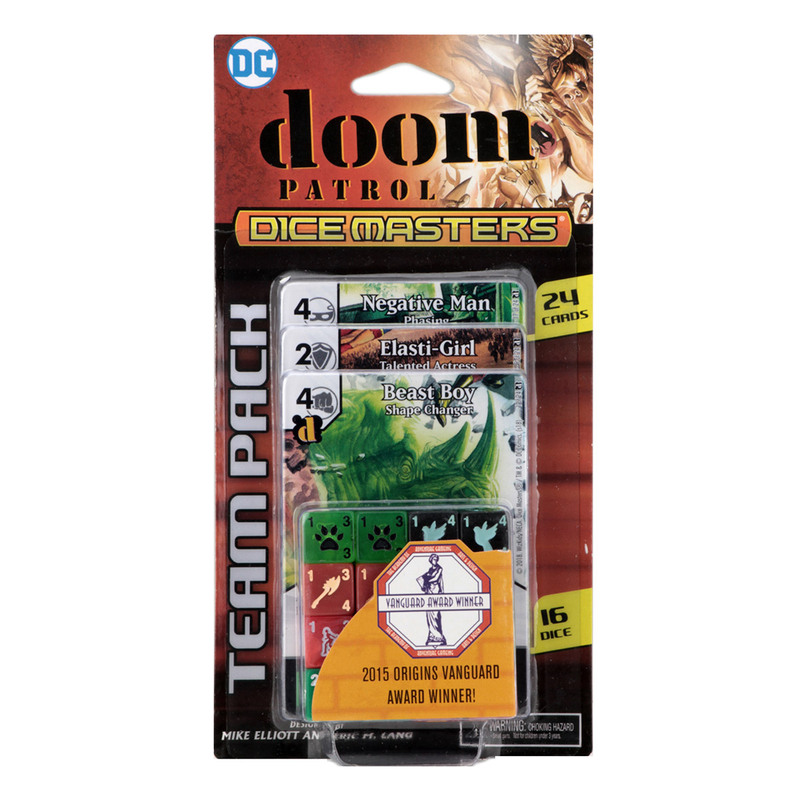 This team pack is perfect for Dice Masters veterans or someone looking to jump into the game fresh! A Team Pack can be paired with any Campaign Box or Starter Set to give a player everything they need to build a highly focused team for thematic play! With 24 cards and 16 dice, you’ll enjoy bringing the World’s Strangest Superheroes to the tabletop in your next game of Dice Masters!